Injured Birds – What to Do? 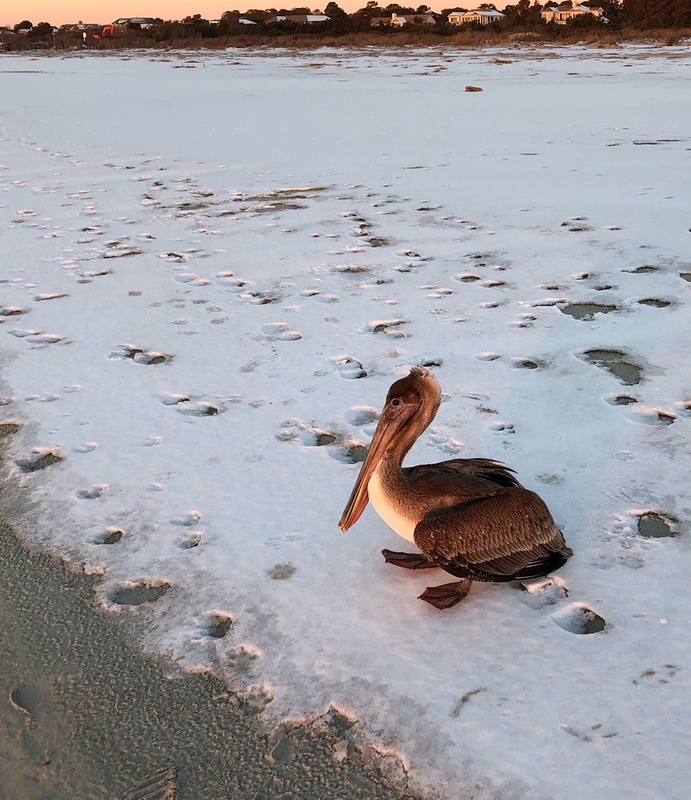 The pelican in this picture was found on North Beach Sunday morning, January 7, 2018. The bird was sitting and when approached made no effort to fly away. The bird was rescued and transported to the Avian Conservation Center (Center for Birds of Prey) in Awendaw for treatment. The initial diagnosis was frostbite. If you see a bird that looks injured or not quite right, please contact the Center for Birds of Prey, (843) 971-7474. The Center will contact the closest available volunteer to come rescue and transport the bird.